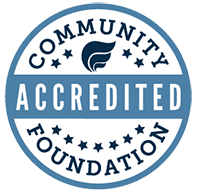 The Community Foundation offers one (1) competitive grant cycle annually. Grant applications are available on our website in mid-July, and applications are due to the Community Foundation in mid-September. Any organization considering the submission of an application in the competitive cycle must attend an information session. NEW REQUIREMENTS and changes to the Application Process are being implemented in the 2019-2020 Cycle. Organizations submitting an application MUST attend an information session. Grant Information Sessions – July 17 at 9:00 a.m.; July 23 at 5:30 p.m.; and August 15 at 9:00 a.m.; and August 28 at 4:30 p.m. To register for a session, click the session date or see our web calendar. Applications due – September 12, 2019 at 4:00 p.m. Questions about the competitive grant cycle and application process should be directed to Thayer Talbott, Vice President, Programs & Operations. Grants are awarded to 501(c)(3) not-for-profit organizations and 170(c)(1) governmental agencies serving the various communities of Middlesex County. Grants will be awarded to organizations that provide positive impact on the community within the areas of need/impact identified below and will be a minimum of $500. Applications from previous grantees are welcome; continued funding will be considered by the Grants Committee, but is not guaranteed. The Community Foundation instituted a “three-year-grant/one-year-off” requirement beginning with grants awarded during the 2009-2010 Competitive Grants Cycle; agencies receiving grant awards for three consecutive years may not apply to the competitive cycle for one year. The Community Foundation is particularly looking for grants that add value to, and have a positive impact on, the health and vitality of the Middlesex County community. Grant applications should address a need within the interest areas and demonstrate impact on the organization, project, community or persons served. Animal / Human Resources & Welfare: Grants to this focus area provide for the needs (food, health and shelter), services (training, rescue and adoption) and educational programs provided by organizations dedicated to helping animals and their human friends. At-Risk Boys and Young Men: Established in 2013, the At-Risk Boys Fund’s mission is to provide grants for programs that help young men and boys reach their full potential. The Foundation’s At-Risk Boys Fund Grants Committee is interested in programs which focus on prevention, education, self-respect and self-confidence, skill development, and enhance positive work and life experiences. Women and Girls: The Foundation’s Sari A. Rosenbaum Fund for Women and Girls Grants Committee is seeking proposals that empower women and girls to be self reliant and to reach their potential. Programs should be models in providing meaningful opportunities and services to women and girls.